The School of Social Work is in the process of developing the Bachelor of Social Work program with plans to admit its first class in Fall 2019. The deadline for applications is Feb. 1, 2019. Any current or transferring student with at least 45 credit hours can apply. The mission of the St. Ambrose University Bachelor of Social Work program is to prepare holistic social work professionals grounded in the liberal arts and Catholic intellectual tradition to enrich lives, facilitate empowerment, and advocate a just society. BSW graduates work in human services, hospitals, schools, mental health, aging services, policy advocacy, community organizing, and so much more. As a Social Work major, you gain the skills you need to work in diverse settings, whether serving clients one-on-one or acting as a change agent in your community. Best of all, you’ll earn not one degree, but two, and can qualify for our advanced standing MSW program. You’ll save a year of time and tuition! 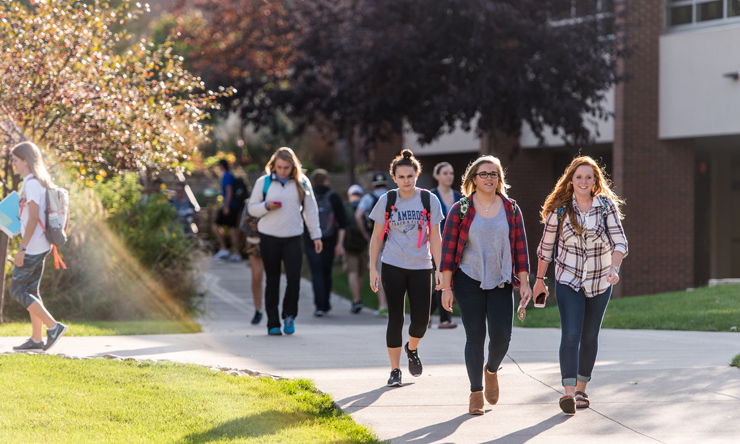 The St. Ambrose University School of Social Work is in the process of developing the Bachelor of Social Work (BSW) program for possible enrollment of juniors in Fall 2019. The deadline for applications is Feb. 1, 2019. Any current or transfer student with at least 45 credit hours can apply. Our 32-credit hour BSW program will focus on generalist practice, which means you'll gain skills that allow you to practice in various settings: hospitals, clinical settings, schools, social service agencies, and more. Course topics include human behavior, social welfare policy, research, social work ethics, diverse populations, and more. You'll build social work practice skills that encompass an empowerment philosophy and allow you to work with individuals, families, groups, organizations, and communities in a variety of settings with diverse populations. You'll take part in a culminating experience and internship. Our BSW students complete 400 hours of fieldwork, which lets you apply what you've learned in the classroom in real-world situations before graduation. You'll get to explore your interests, strengths, and fit within the diverse field of social work. The BSW Dual Degree program will allow you to earn a second degree in Psychology, Sociology, or Women & Gender Studies. These programs challenge you to think critically, complete complex analysis, and build strong communication skills. They complement and connect to your social work education and will make you a better practitioner. Your faculty advisor will help you choose the program that best fits your interests and goals. The mission of our BSW program is to prepare holistic social work professionals grounded in the liberal arts and Catholic intellectual tradition to enrich lives, facilitate empowerment, and advocate a just society. What makes the BSW program unique? A BSW degree is one of the most useful and flexible degrees for a career in the human services sector. We've created a program that allows you to earn a BSW and a second degree in Psychology, WGS, or Sociology. You get a well-integrated program that connects the two degrees and leads to a successful career. You may be eligible for early acceptance into our BSW program. Most SAU students will formally enter the program during their junior year, but if you meet certain academic qualifications, you can start your first year on campus with guaranteed placement in the program. Contact an admissions representative for more information. You can get involved on campus or in the community, now. We have more than 80 student clubs and organizations, and many of those focus on human rights, community action, and diversity. Our Campus Ministry programs are open to all students, no matter your religious affiliation, and you can take part in activities that promote social justice. We have great tools for learning. You get to hone your interpersonal skills in state-of-the-art observation labs. We have community connections with more than 400 regional agencies and organizations. You have so many options for field placement. Our Director of Field Education will help coordinate a placement that fits your educational goals. 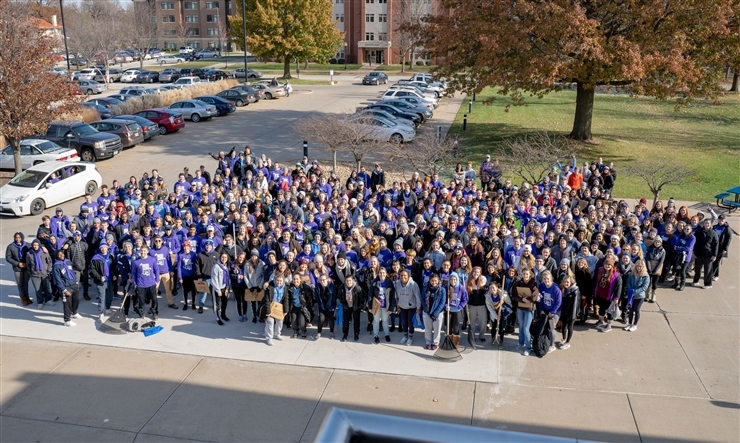 Throughout the year, St. Ambrose University hosts a number of community presentations, events, town hall meetings, and other activities on topics that are closely tied to social justice. You can attend many of these events for free. Your BSW could lead to advanced standing in our accredited MSW program, which means you could earn your graduate degree in one year, instead of two. That makes your education more accelerated and affordable. A BSW degree is one of the most useful and flexible degrees for a career in human services. It prepares you for direct-service positions in casework, mental health, aging service support, and human services at the micro level, and community advocacy and organizing at the macro level. The job outlook for social workers is strong and has a faster than average growth rate. According to the Bureau of Labor Statistics, social work positions are projected to grow 16% between 2016-2026, and the number of healthcare social workers alone is expected to increase by 20% to meet the needs of an aging population and their families. More than 70% of BSW students continue their education at some point, and this degree can provide an accelerated pathway to an MSW. 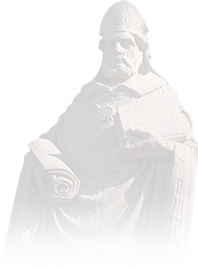 St. Ambrose was the first university in the U.S. to offer an accredited MSW program with an empowerment specialization. Twenty years later, we boast more than 500 graduates who are actively improving lives, communities, policy and advocating for social justice. Applications for standard admission (current SAU students or transfers) are due Feb. 1. Applications for Track I (high school students) are due Jan. 15. Click here for admission requirements and the application forms for both tracks. The School of Social Work is in the process of developing the Bachelor of Social Work program. Admittance of juniors into the program begins in the Fall 2019 semester. The deadline to apply is Feb. 1, 2019. Once you are admitted to the BSW program, you'll start taking classes toward the BSW in your junior year. Courses are 3 credits unless otherwise noted. Psychology is one of three majors you can pair with your Bachelor of Social Work degree. This is the suggested Plan to Graduate in four years with a BSW degree and a major in Psychology. This plan assumes you haven't satisfied the foreign language requirement (three years of foreign language in high school). Sociology is one of three majors you can pair with your Bachelor of Social Work degree. This is the suggested Plan to Graduate in four years with a BSW degree with a major in Sociology. This plan assumes you haven't satisfied the foreign language requirement (three years of foreign language in high school). Women and Gender Studies is one of three majors you can pair with your Bachelor of Social Work degree. This is the suggested Plan to Graduate in four years with a BSW degree with a major in Women and Gender Studies. This plan assumes you haven't satisfied the foreign language requirement (three years of foreign language in high school).